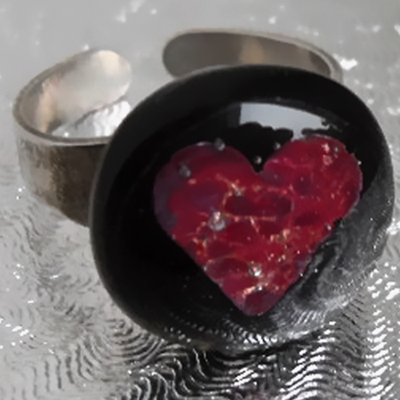 The round glass piece is 1.6 in diameter and is made of two layers of glass with a copper heart fused between them. A Black layer topped with a clear layer. The fitting is plated silver and is expandable to fit most fingers.